BUCHAREST, Romania, 30-Jan-2019 — /EPR FINANCIAL NEWS/ — Digi Communications N.V. (“Digi” or the “Company”) announces that on January 30, 2019, the Independent Limited Assurance Report on the information included in the current reports issued by the Company in accordance with requirements of Law 24/2017 (Article 82) and FSA Regulation no. 5/2018 was made publicly available on the Romanian Stock Exchange (“BVB”) and the Company’s website, while also being available with the Romanian Financial Supervisory Authority (“ASF”) and the Dutch Authority for Financial Markets (“AFM”). 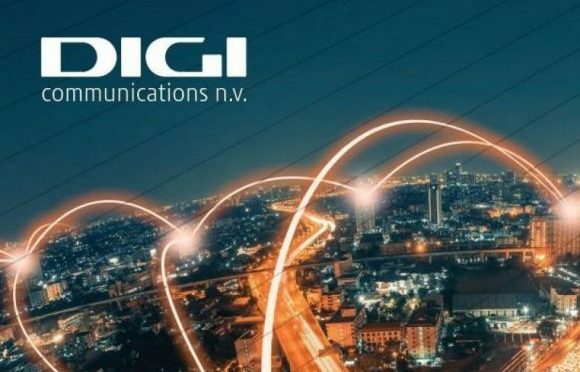 For details regarding the reports, please access the official websites designated of Digi: http://investors.rcs-rds.ro and www.digi-communications.ro (Investor Relations Section). BUCHAREST, Romania, 30-Jan-2019 — /EPR FINANCIAL NEWS/ — Digi Communications N.V. (“Digi” or the “Company”) announces that on January 30, 2019, the Report regarding the rectification of the reports dated 15 January 2019 and 15 October 2018 issued in accordance with Romanian Law no. 24/2017 and FSA Regulation no. 5/2018 was made publicly available on the Romanian Stock Exchange (“BVB”) and the Company’s website, while also being available with the Romanian Financial Supervisory Authority (“ASF”) and the Dutch Authority for Financial Markets (“AFM”). BUCHAREST, Romania, 15-Oct-2018 — /EPR FINANCIAL NEWS/ — Digi Communications N.V. (“Digi” or the “Company”) announces that on October 15, 2018 the Company submitted a current report according to the requirements of Law 24/2017 (Article 82) and FSA Regulation no. 5/2018 for September 2018 to the Romanian Stock Exchange (“BVB”). The Report is also available on the Company’s website. BUCHAREST, Romania, 26-Jul-2018 — /EPR Financial News — Digi Communications N.V. (“Digi” or the “Company”) announces that on July 26, 2018 the Company submitted the Independent Limited Assurance Report on the information included in the current reports issued by the Company in accordance with requirements of Law 24/2017 (Article 82) and FSA Regulation no. 5/2018 for H1 2018to the Romanian Stock Exchange (“BVB”). The Report is also available on the Company’s website.